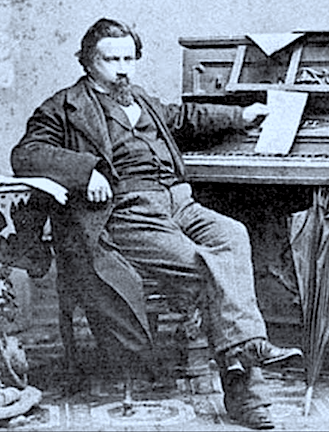 Composer Amilcare Ponchielli was born in Italy in 1834. He started composing operas while still a student at the Milan Conservatory. 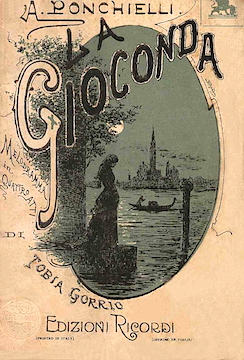 After graduating in 1854, he held various positions over the years, including professor of composition at the Conservatory; his pupils included Giacomo Puccini and Pietro Mascagni. His most famous opera is “La Gioconda”, written in 1876. It is mainly remembered for its ballet, Dance of the Hours. 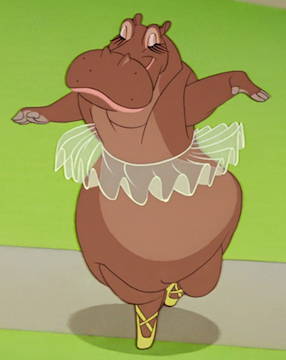 The Dance of the Hours is probably the only opera ballet that has established a life of its own in both the concert hall as a stand-alone orchestral work…and in pop culture: Walt Disney’s 1940 animated film Fantasia, for example, used the music for a ballet performed by tutu-clad hippos, ostriches, alligators and elephants. And in 1963, parodist Alan Sherman set words to the tune of Ponchielli’s day music with its all-too-familiar four-note theme. Sherman’s “Hello Muddah, Hello Fadduh (A Letter from Camp)” hit No. 2 on the pop charts.